As we mark the loss of close friends and distant heroes it’s important to take a moment to think and reflect on the year. Christmas is also a time to make a special effort to reach out to others. Whether it be the distant friend, the estranged family member or the quiet neighbour, Christmas is a good excuse to make new. It’s also a time to reflect on the year past with its successes and its challenges. It’s no different for me. 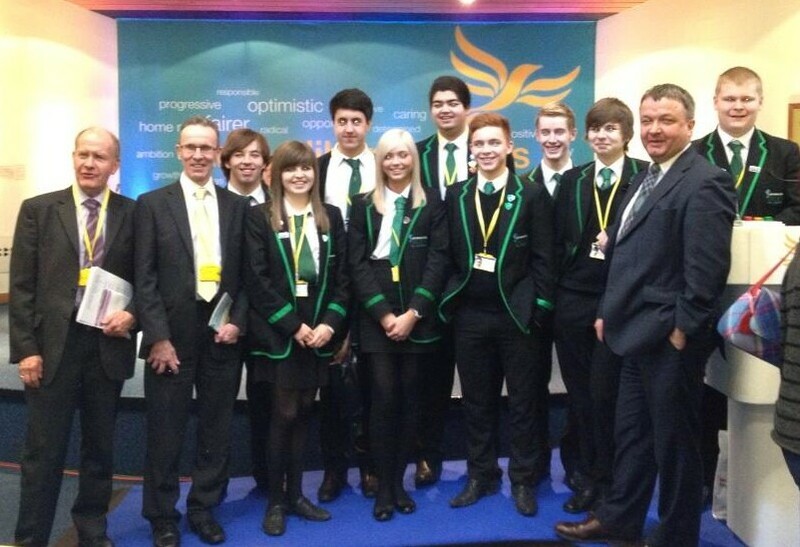 The progress with the Liberal Democrats in the last year has been significant. We’re delivering our £700 tax cut for those on low and middle incomes. Pensions are rising thanks to the Liberal Democrat triple lock that guarantees decent increases every year. There’s higher employment with over 1 million new jobs in the private sector. And the economy is growing with improving prospects for years to come. We’re building a stronger economy and a fairer society so that everyone can get a chance to get on. Without the Liberal Democrats this would not be happening. Scotland is heading in the right direction thanks to the action taken by Liberal Democrats in Government. We are anchoring politics in the centre ground. But we don’t like to stand still as there is so much more to do. 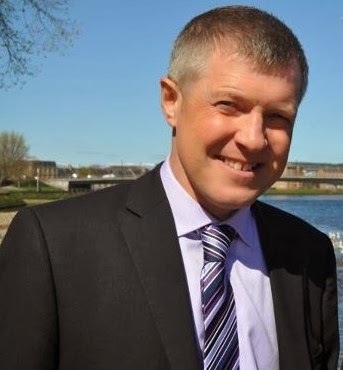 That’s why we are pressing the Scottish Government to improve early education, particularly for two year olds, to match what is being delivered in England by the Liberal Democrats in Government. We know it can change lives for the better. Despite the Scottish Government’s White Paper we still don’t know what the nationalists’ independence plans will mean. It is no less risky because of the White Paper. And why would we undermine the progress we are making with the UK economy, cutting taxes, increasing pensions and more jobs by breaking up the country. We should share that progress together. It’s why we’re also making the case for more powers for the Scottish Parliament with the Liberal Democrat Home Rule plans. With more tax and constitutional power we can determine our own destiny on the domestic agenda whilst sharing risk and reward with the family of nations that is the UK. It’s the best of both worlds. 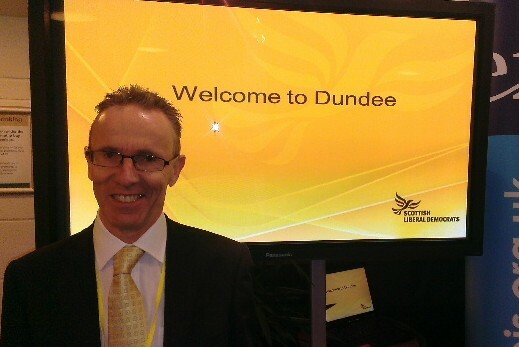 This morning, I had the great pleasure in making a welcome address to hundreds of Scottish Liberal Democrats attending our Spring Conference, taking place in Dundee’s West End, at the West Park Centre. 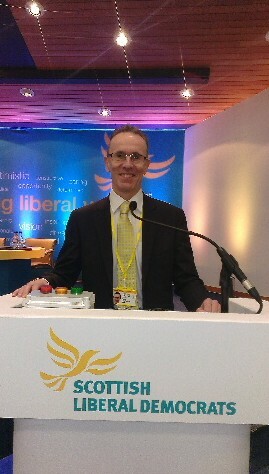 Making the opening address to delegates this morning. 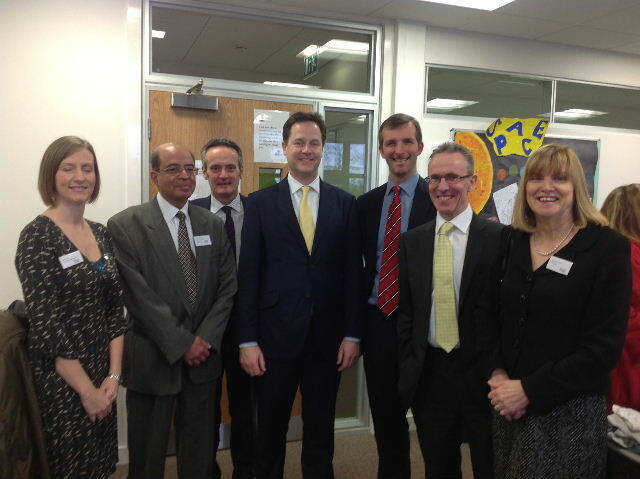 Nick Clegg MP, Liam McArthur MSP and I had a very informative visit to Dundee College. Here’s Nick speaking with HNC students. I had the pleasure of taking part in a Q&A session with 55 modern studies pupils from Dundee schools (and Madras College at St Andrews) along with Jim Hume MSP and Mike Crockart MP. Here’s Jim, along with Perth & Kinross Councillor Willie Wilson and myself, with St Paul’s Academy pupils on the conference podium. 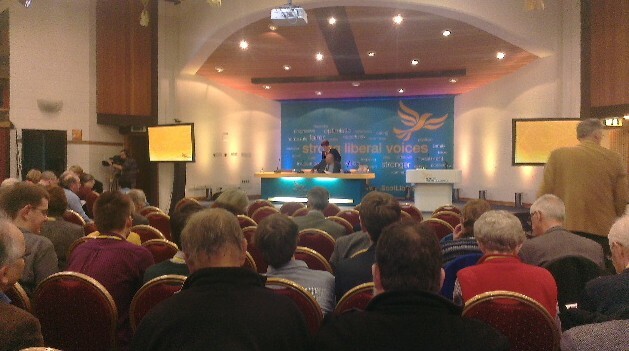 Vince Cable MP addresses conference. This week marks five years since Nick Clegg became leader of the Liberal Democrats. 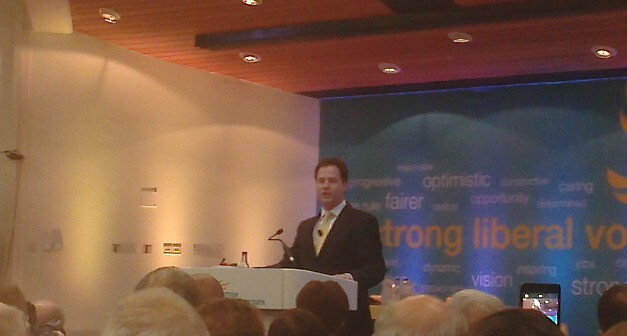 To mark this occasion Nick gave a keynote speech at Centre Forum earlier this week. 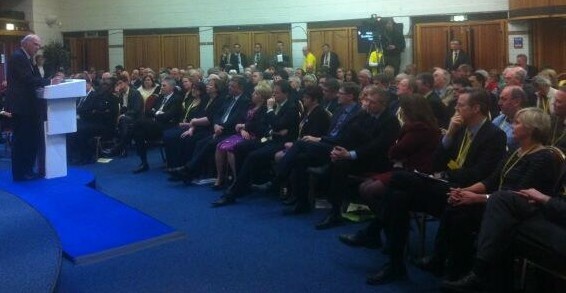 The speech highlighted the journey the Party has been on under his leadership. It set out the Liberal Democrats’ position at the centre ground of British politics and explained how we are building a stronger economy in a fairer society.